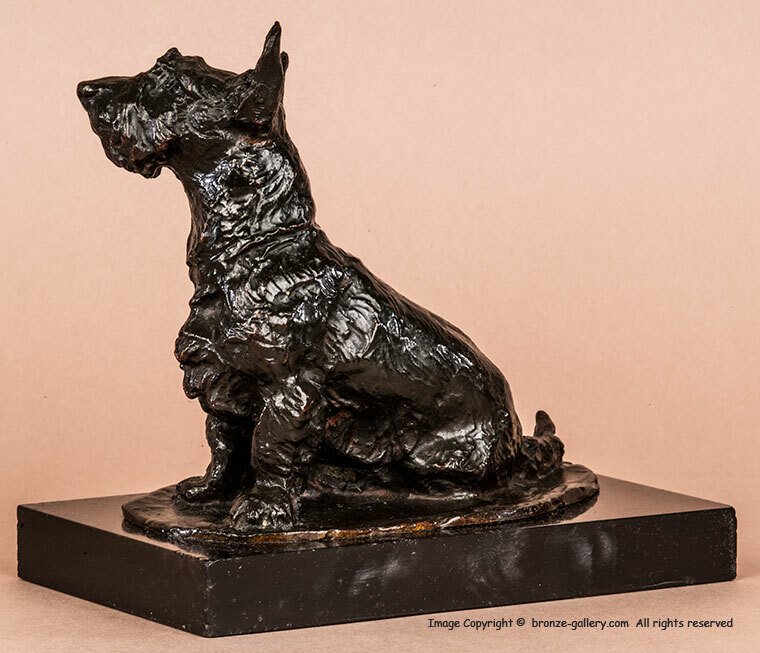 While Rene Paris is best known for his fine models of Race Horses and their attendants, he also did some excellent sculptures of dogs. 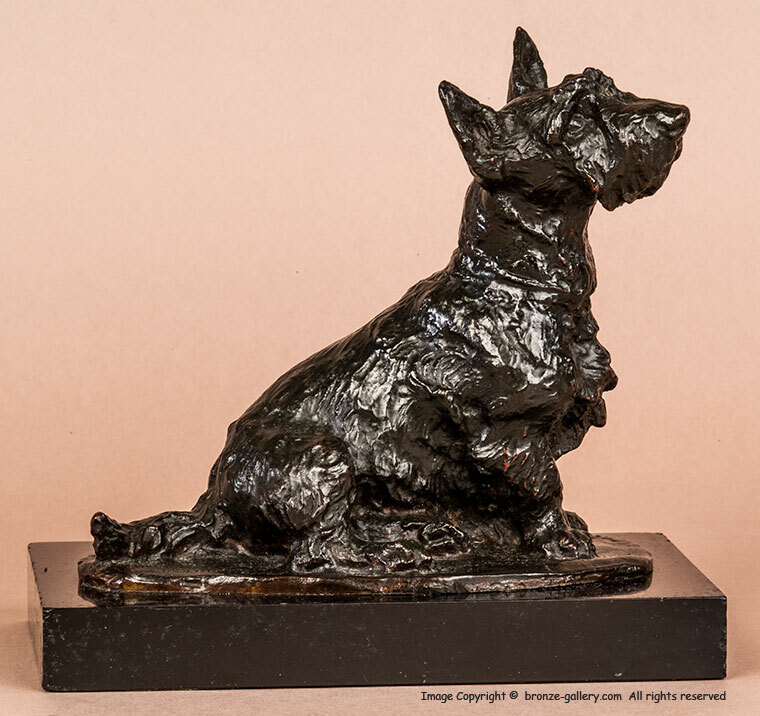 This bronze captures so well the nature of the Scottish Terrier. The Scotty is sitting with his ears alert, perhaps listening for his master's call, Being a Terrier he might just ignore it and continue to sit there! Scottish Terriers are well known for their independent nature and strong will and the breed has a lot of character. This bronze is a rare model and a very nice one, it has a black patina and is mounted on the original black slate base measuring 6 3/8 inches long and 3/4 inches thick (16.2 cm long and 2 cm thick).